WordPress user capability create_users is straight forward and self-explained one. WordPress Codex Roles and Capabilities page even doesn’t contain a word explaining or defining it. You can know from that page only that this capability was added to WordPress since version 2.1 and it is included into Administrator role by default. 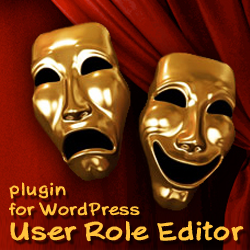 It belongs to Superadmin (for multi-site configuration) also, but you can not see such role in WordPress roles list. Do you wish to know a little more about this capability or dive deeper into WordPress user capabilities world? Follow me reading this post and you will get detailed report about how and there create_users capability is used by WordPress. All stuff above concerns blocking user from access to the new user creating functionality and/or show/hide ‘Create/Add New User’ links in the WordPress user interface. In some places if you have not ‘create_users’ capability “Add new user” is replaced by “Add Existing User” or “Invite User” links, in case you have ‘promote_users’ capability instead. Look directly on the quotes from WordPress source code below to get right information about create_users capability. In this file WordPress defines condition if user can add new user himself, or he just promote new user. $_wp_real_parent_file['profile.php'] = 'users.php'; // Back-compat for plugins adding submenus to profile.php. In case of multi-site environment user needs to have one of two capabilities to proceed with this code: create_users or promote_users. For single-site WordPress configuration you should have create_users to proceed. Btw, if you curiouse, promote_users capability allows user under multi-site environment to add existing user to the current blog or invite user by email to subscribe for this blog. In case page user-edit.php is called not for user profile, you can see “Add New” user link, if you have ‘create_users’ capability. Again, WordPress checks user-edit.php to know if it should show “Add New” or “Add Existing” user link. If you can create_users capability, you will see “Create a New User” link at “Right Now” admin back-end dashboard widget. Network management menu shows “Add New” item if super-admin has create_users capability only. This entry was posted on Wednesday, February 8th, 2012 at 12:16	and is filed under WordPress, WordPress Capabilities. You can follow any responses to this entry through the RSS 2.0 feed. You can skip to the end and leave a response. Pinging is currently not allowed.